1978. 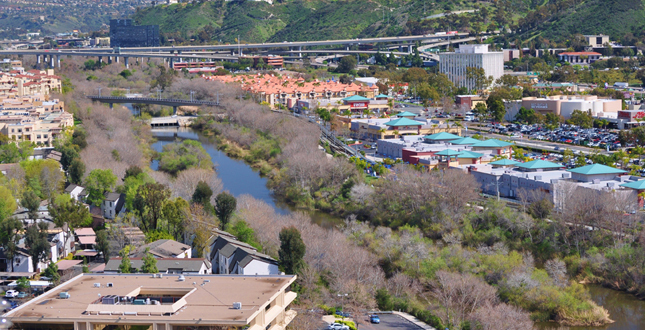 View of Mission Valley flood event shows the San Diego River's impact on surrounding development. 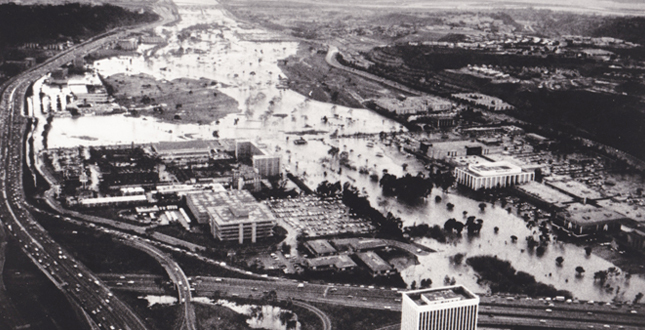 As development encroached into the river's floodplain, damage from seasonal flooding and limited access to businesses occurred along the river corridor. 1980. 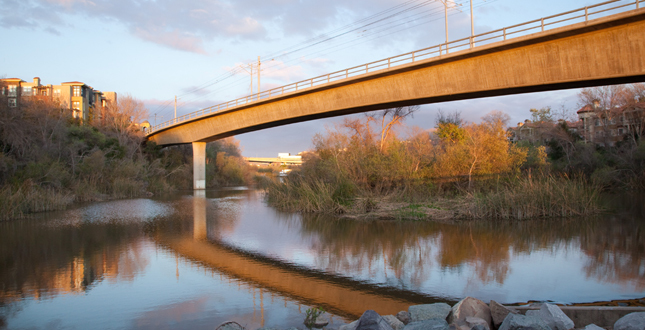 As a result of collaboration between public agencies and private landowners the "First San Diego River Improvement Project" Master Plan was developed	to design and restore a riparian habitat built around natural flood control measures. 1992. 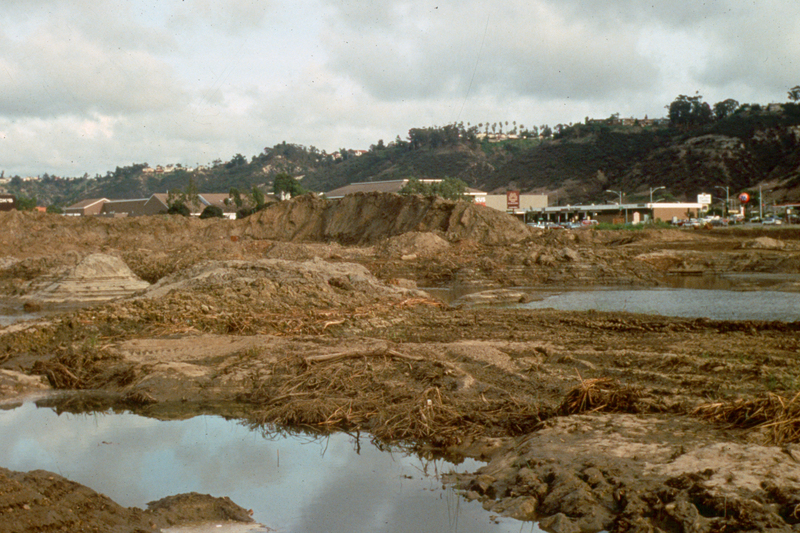 During construction the existing river basin was dredged to accommodate a series of stepped flood control basin. The resulting year-round ponds provide natural habitat along the riverbanks and on central islands with support and protection for local wildlife. 1999. 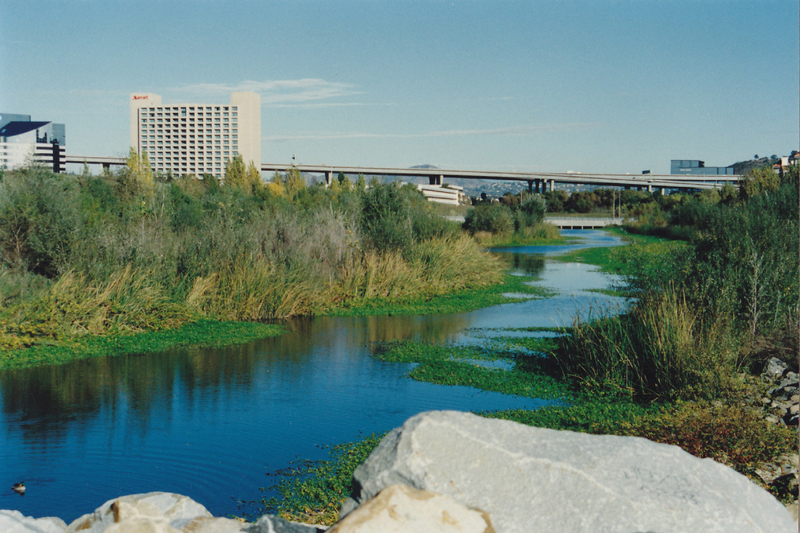 This photograph shows the islands established with native vegetation and wildlife returning to the river. 2002. 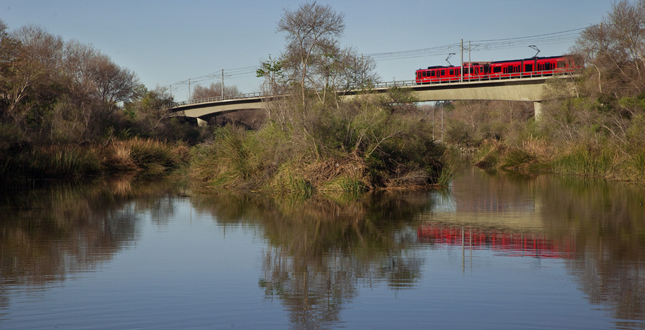 As a part of the original master plan, transportation plans included an elevated trolley over the river providing access to three trolley stations thereby providing access to recreation, commercial and residential development along the river corridor. 2005. Multi-modal trails, along with interpretative kiosks along the river, provide expanded public access and recreational value. 2010. 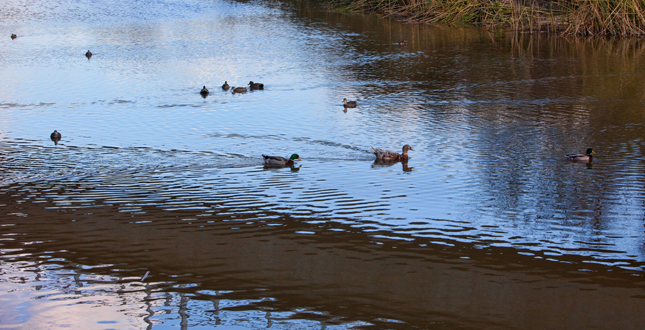 The restoration of the river and the natural setting, has brought back local birds and native riparian plant species. 2011.The urban corridor along the river banks is revitalized. New development faces the river rather than backing up to it. 2011. 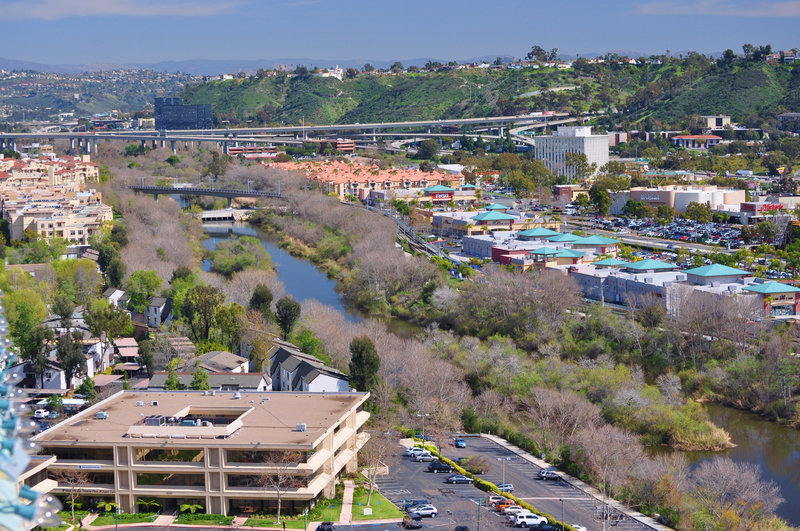 Today the aerial view of Mission Valley shows a significant reorientation towards the central corridor with residential and commercial development now facing the river and taking advantage of the scenic quality and recreational amenities offered to the public. Future. This project provided the beginnings of a new mind-set of respecting natural systems and celebrating a coexistence with community development. Future. Natural landscape is timeless. 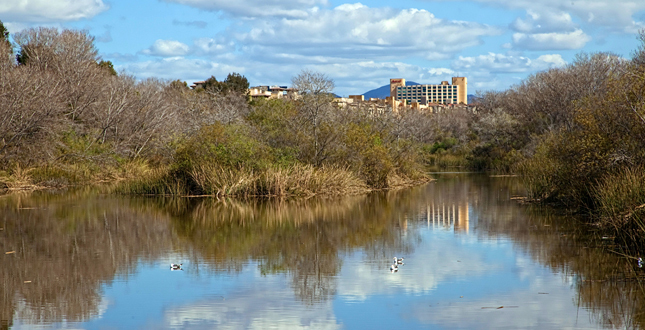 The San Diego River begins 50 miles to the east in the Laguna Mountains and runs to the Pacific Ocean through a series of canyon ravines, valleys and broad floodplains. 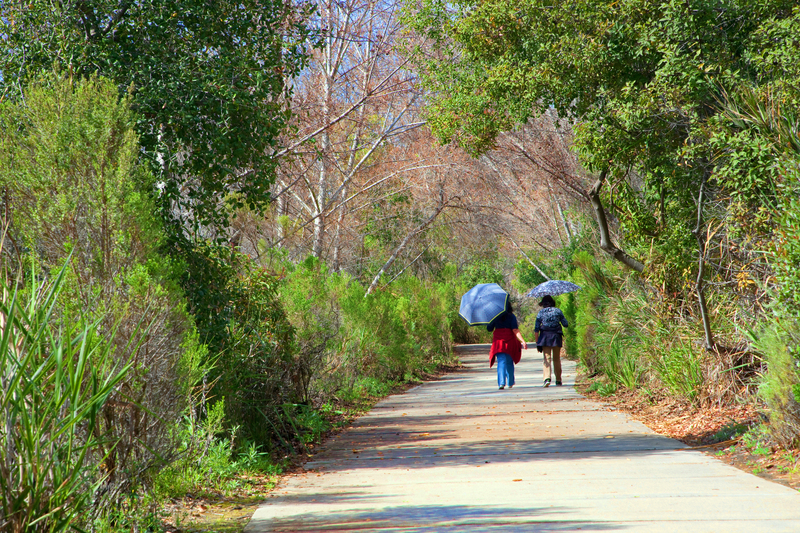 The last river segment runs through "Mission Valley", named after the first California Mission established by Father Junipero Sierra in the mid 1700's. The area once known for rich agriculture and dairy farms evolved into a mix of sprawling commercial hotel and retail development that had, over the past seventy five years, continued to narrow the river channel and impact the natural floodplain. 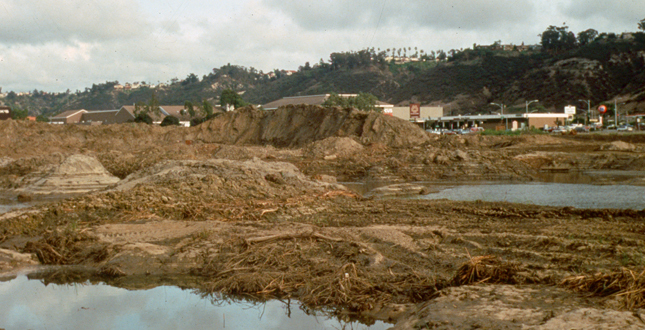 Seasonal flooding brought heavy damage and limited access to businesses each year. 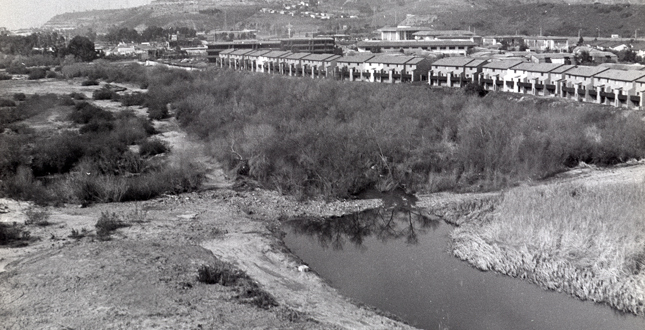 As development occurred the river also became an eyesore with garbage collecting along its banks with disregard and allowed deterioration of the natural habitat. 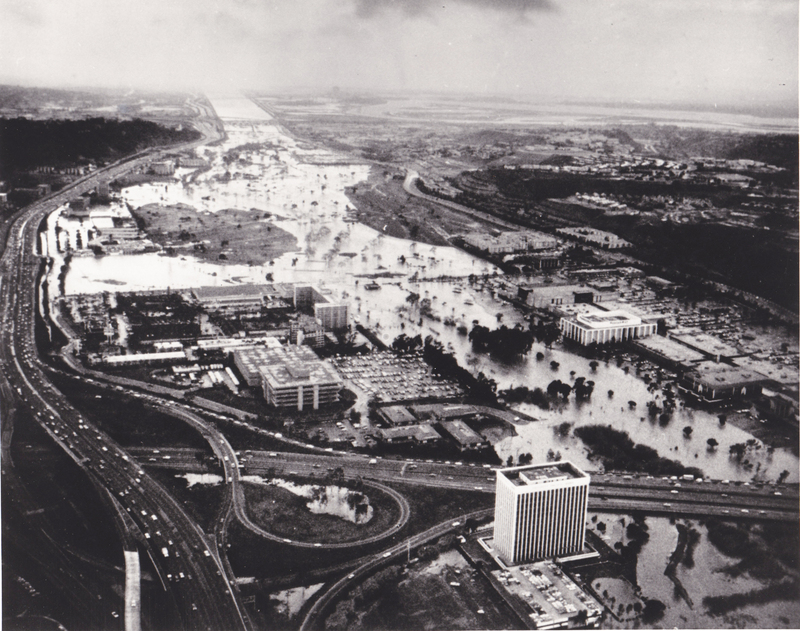 To address seasonal flooding, the Army Corps of Engineers developed initial plans for a concrete flood control basin not unlike monolithic concrete swales constructed elsewhere. 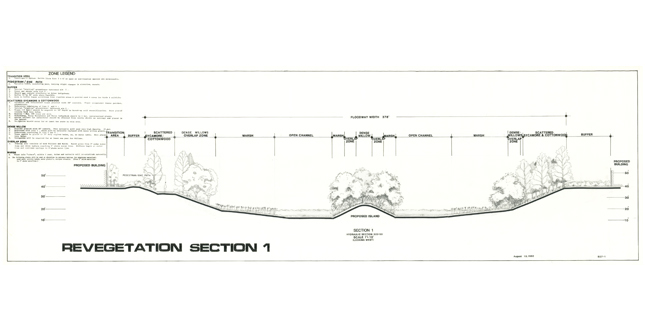 Shortly thereafter, and in contrast to the concrete swale solution, a preliminary design study was completed for the City of San Diego (Wirth Associates) which outlined suggestions for maintaining the natural integrity of the river corridor. 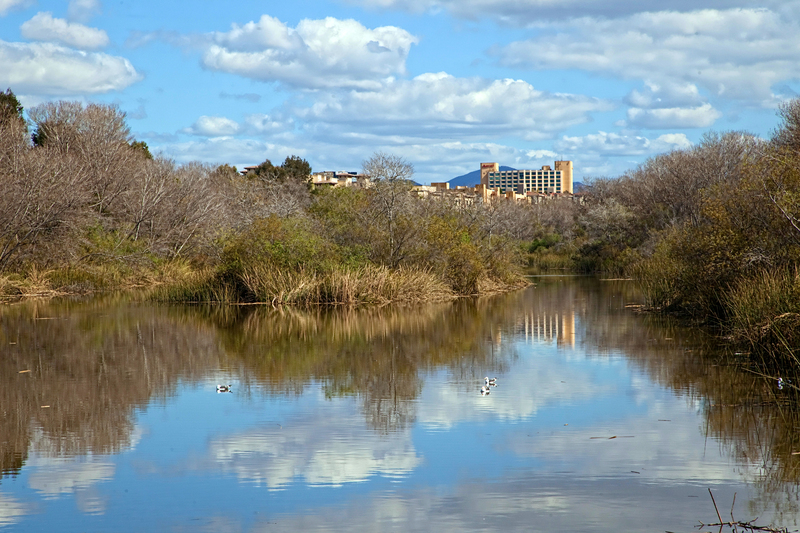 With limited funding sources the project lagged for several years until private landowners decided to collaborate with the City of San Diego to expedite a plan to design and finance a flood control system to enhance the natural beauty of the river. 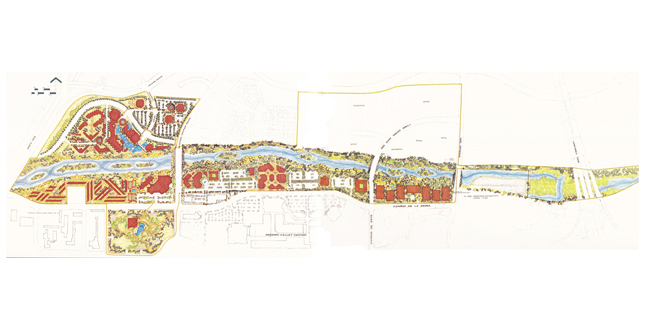 The Landscape Architect was selected by the coalition of private landowners and public agencies to work alongside Architects, Civil Engineers and Biologists to design this project and to specifically enhance the riparian river corridor. In a unique collaboration comprised of nine private land owners, thirteen public agencies and numerous community interests, the FISDRIP project began in the mid 1980's. 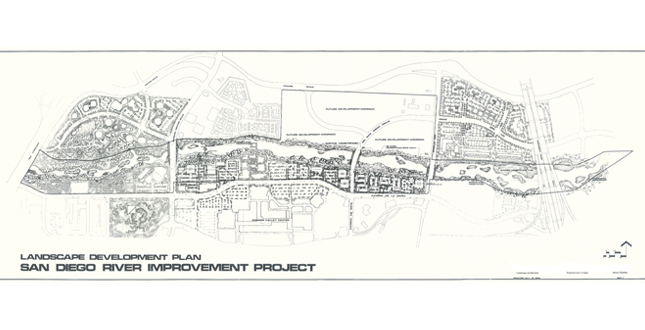 The final master plan envisioned a series of flood control segments along the entire length of Mission Valley (see photo 251-Master Plan) along with recreational amenities including view overlooks, fishing areas and multimodal trails along and across the river. 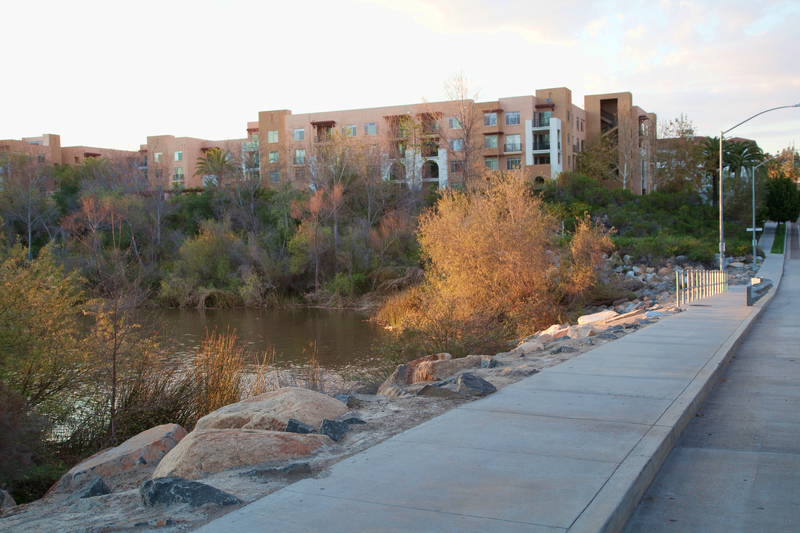 The first completed segment included a 2.5 mile section encompassing 42-acres of riparian woodland and 15- acre freshwater re-vegetation. The design and construction of the first phase spanned seven years from planning to completion. The second phase has not yet been implemented. Federal Fish and Game and Fish and Wildlife Biologists along with consultant biologists guided the Landscape Architect in developing and creating specific wetland habitat for the San Diego region including selection of indigenous native plants and planting techniques to ensure long term establishment. 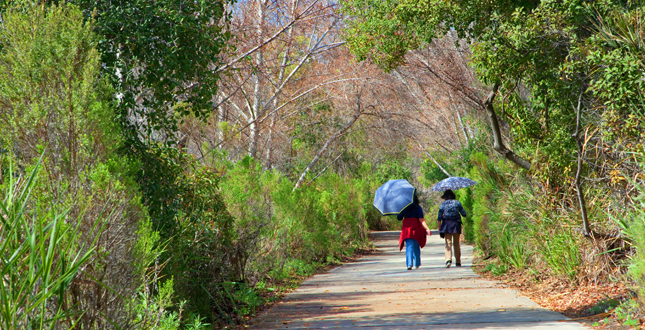 At the time, this project was considered one of the first large- scale riparian restoration projects within an urban corridor in southern California. 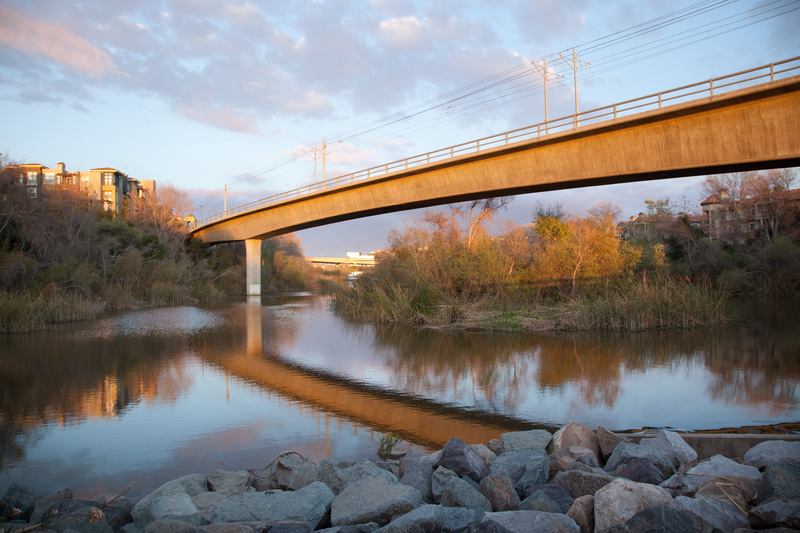 The first phase of the project has been completed for over twenty years and the resulting landscaped corridor contains created wetland habitats, wildlife preserves, picnic areas, bikeways, and pedestrian paths. 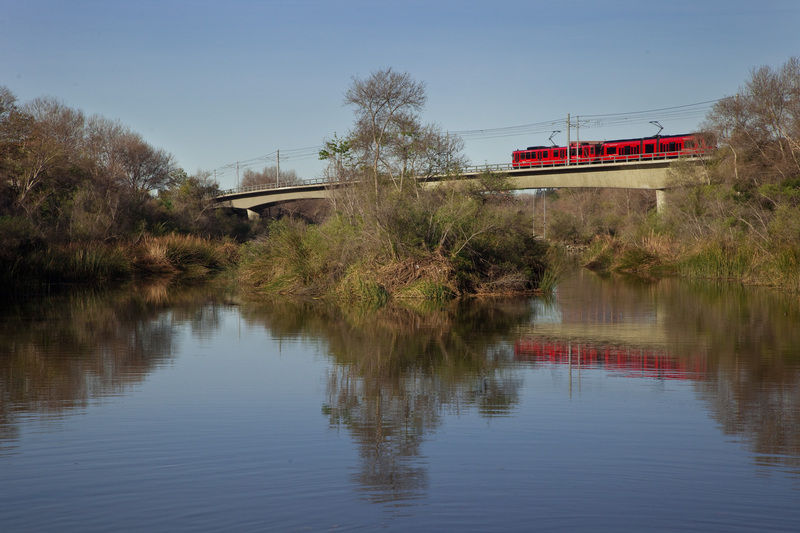 Most importantly, the project has reduced and controlled the seasonal flooding which previously plagued the Mission Valley area each year. 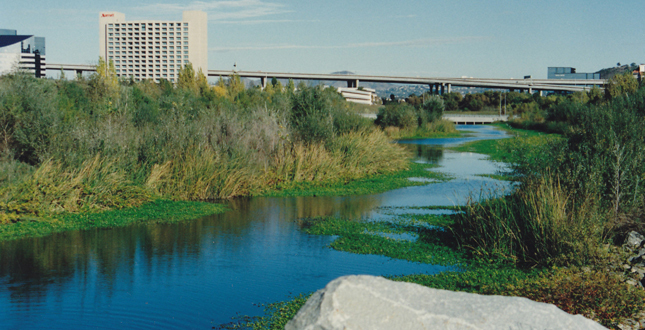 Dr. Howard Chang, a nationally recognized professor of Hydraulic Engineering from San Diego State University, was a principal civil engineer tasked with developing the re-configuration of the river channel to permit flows of seasonal stormwater while maintaining a year round recreational amenity for the community. The project contains two major transportation corridors that are designed to flood over from channel to channel during a 50 year storm event. An elevated light rail line with two transit stations within the corridor allow for easy access to surrounding multi-family residential development. 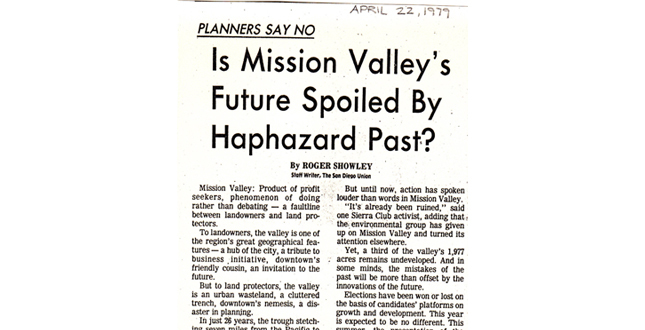 The Landscape Architect was a key facilitator in bringing many diverse and specialized consultants, agencies and city staff together to work towards and broaden a view of the landscape design that would eventually enhance the existing environment, integrate sustainable measures into the landscape design and create community value where alternative solutions would have destroyed the natural land form. 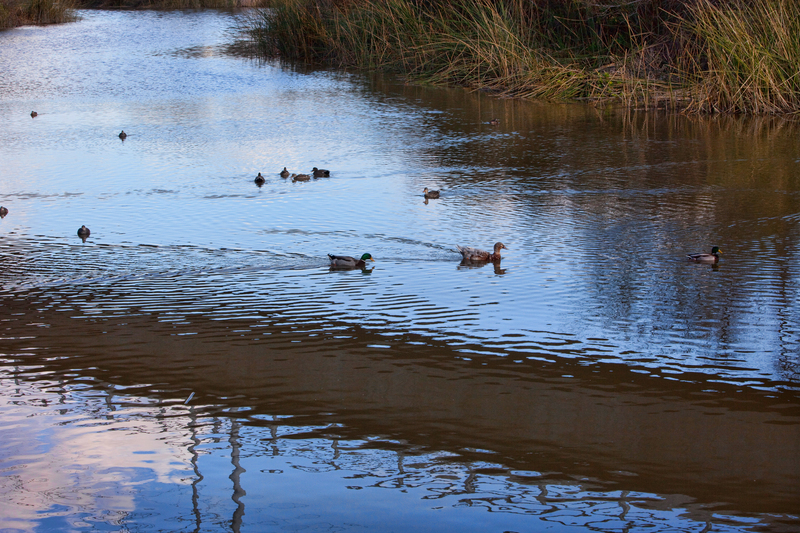 The layout of the channel and central islands were a close collaboration with the engineers and biologists to promote healthy habitat where native plants, birds and wildlife would return and nourish within a developing urban corridor. 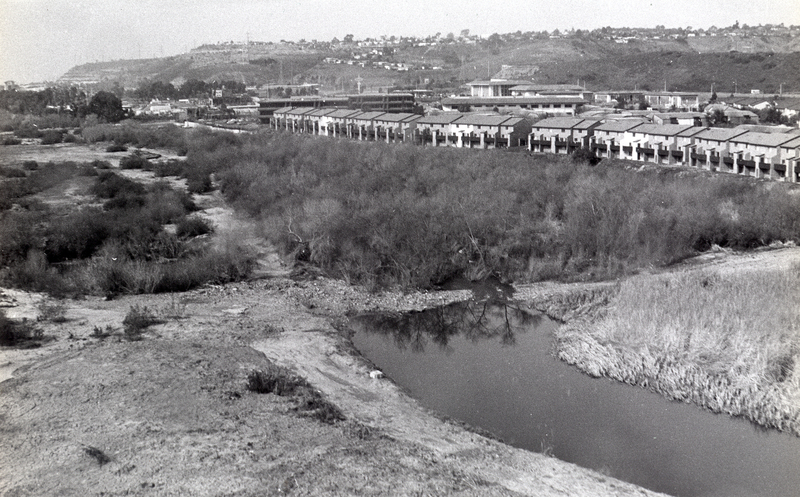 Before this improvement project the San Diego River had a long history of winter flooding, vandalism, garbage dumping and overgrown wetland areas that were filled with evasive vegetation. 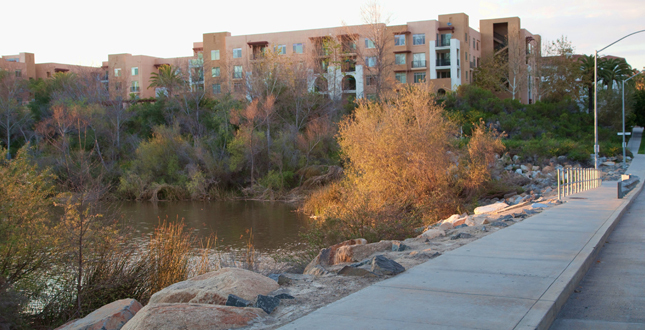 The unique landscape design controls seasonal flooding, stabilizes the river banks and reversed the historic development approach of ignoring the river as an eyesore and instead embracing it as a public amenity. The partnership of designers, engineers, city and agency staff have demonstrated how a team approach centered on a collaboration and creative vision, with an understanding of significance in preserving natural habitats, can enhance nature, restore habitat and provide value for the community. What remains remarkable about the project today is how difficult it is to accurately located the limits of the original design because of expanded areas of additional habitat that have evolved from the simple corridor limits. With over 20 years of establishment, the river corridor continues to evolve with a dynamic energy of new development, efficient transportation access and the return of natural systems working side by side. Each day the corridor is heavily used by the public and historic flood problems are kept to a minimum. Today the natural qualities of a vibrant river corridor still exist. This project is a great example landscape of landscape design relying on nature for harmony and balance.